Author Nick Quantrill is our first lunch guest. Murder at the marina? Bandits in the boatshed? Terror in the tapas bar? What further horrors lie in wait on the banks of the Humber as we approach the inaugural Hull Is This working lunch interview with crime writer Nick Quantrill? Too many questions, even for such an esteemed literary gumshoe as Nick. But maybe he’s the man to help us find an answer – what to call the column which was a culinary and corporate hit more than 20 years ago. As a weekly business lunch feature it became a favourite read of the region’s business community and an inevitable talking point at networking events, especially among those fishing for an invitation. Times have changed for better and worse. The media expenses allowance of the 1990s became less lavish every month and, for the purposes of this project, is non-existent. We’re grateful therefore to 1884 Wine & Tapas Bar, which has welcomed the opportunity to host the interviews. That suits me fine. It’s my favourite restaurant and we’re delighted to accept their hospitality in the knowledge that it won’t be abused. The business lunches which sometimes used to extend until dinner are a thing of the past…aren’t they? The restaurant scene has also changed. Favourite venues all those years ago included Mustafa’s for the best steak in the city, Pearlman’s for fine dining in the industrial heartland of the back streets off Hessle Road, and even Yankeeburger. A guest insisted we go there, and on arrival we saw three or four other tables occupied by prominent people from the local business scene. That business community is much broader than before. Business is closer to culture than ever, hence the decision to invite Nick to kick things off. I’ve known him a while but we’ve never spent much time together so I’m not really sure what we’ll talk about – his Geraghty novels, the Hull Noir crime writing festival, possibly a bit of Hull City. And I’ll have to own up to the heinous offence of never having got round to buying his books. Maybe the holiday after next. We’ll definitely talk about the food and, as we’re lunching on a Sunday, we’ll have the choice of the award-wining tapas dishes or the new Asado Sunday menu – all highly recommended. We might also talk about possible future guests. The editor has a few ideas and it’s clear there are plenty of candidates from the cultural, corporate and community sectors. 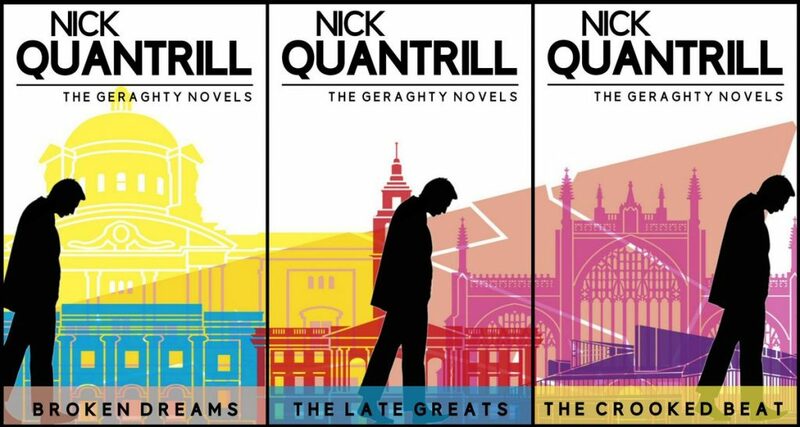 So it’s Nick Quantrill first, and you can read all about it on Hull Is This next week. Be the first to comment on "Lunch interviews? It would be criminal not to start with Nick"